Overall condition, the vessel could use a major detailing on the inside. The cushions on front helm seat are ripped from use and age. The leaning post cushion, which flips to be seat or backrest is in good condition. 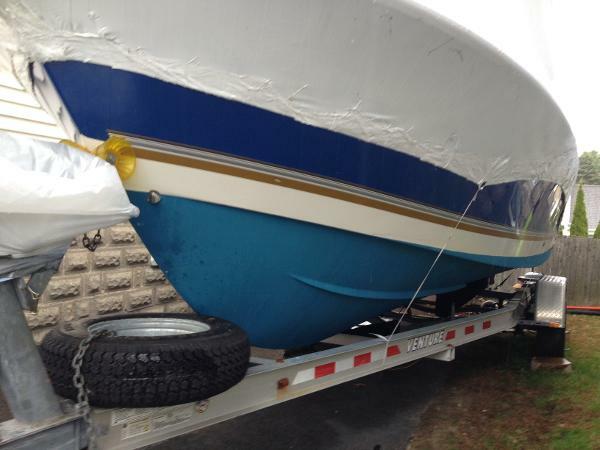 Since the seller keeps the vessel on the trailer and not in the water, he has not repainted the bottom. Seller believes the bait well and fish box pumps are operational but believe that macerator pump for washdown is not working. The trim tabs did not work, you can hear the pump coming on, possibly low or lack of fluid, would need to checked. 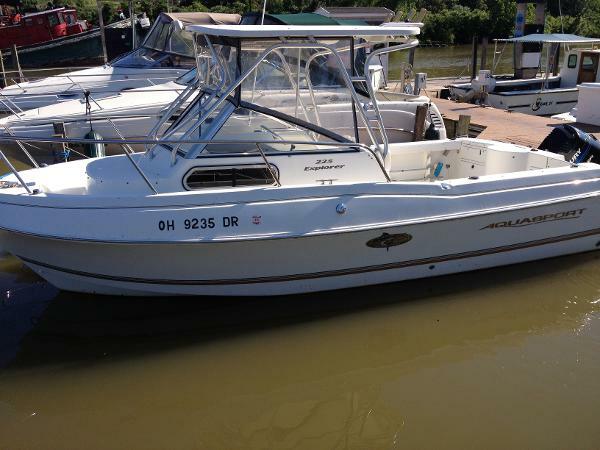 Stock #145197 245 Osprey Tournament Edition powered by twin 150hp Evinrudes. Boat is a fishing machine! 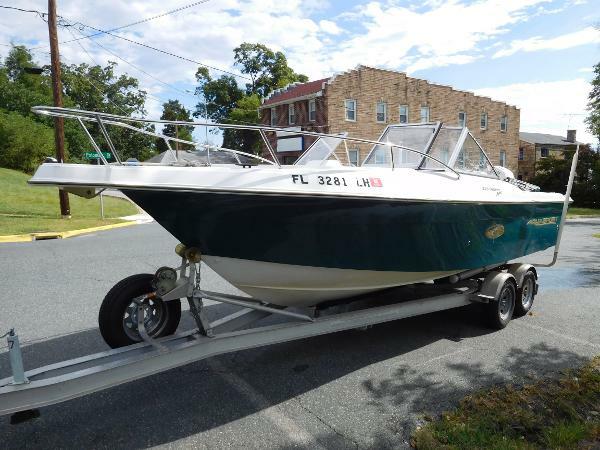 If you are in the market for a center console, look no further than this 1999 Aquasport 245 Opsrey TE, just reduced to $14,500 (offers encouraged). 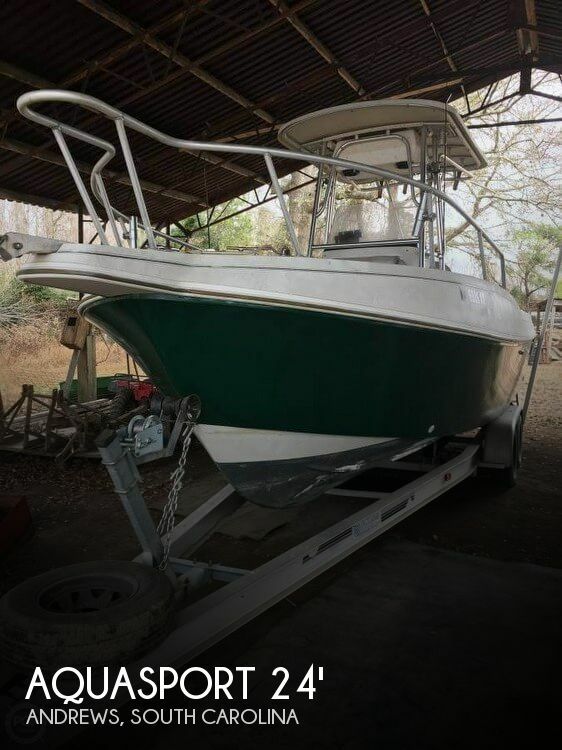 This boat is located in Hertford, North Carolina and is in good condition. She is also equipped with twin Evinrude engines. Reason for selling is not able to use the vessel.